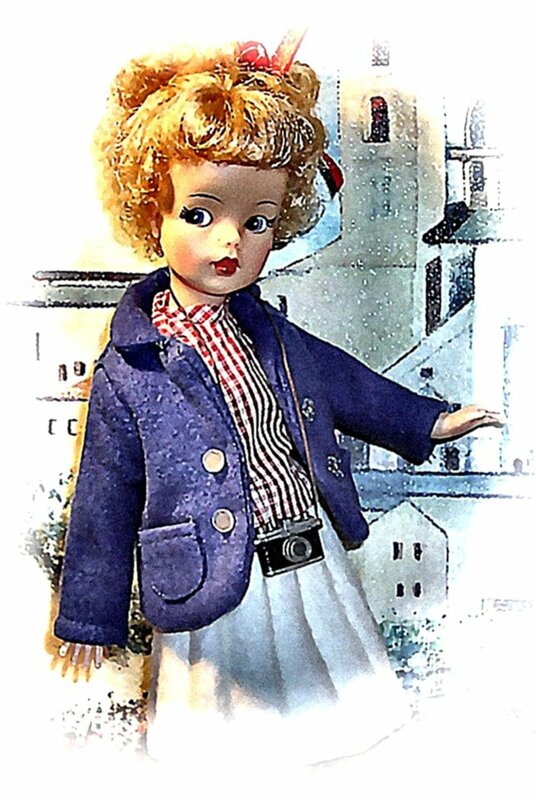 This page is all about Little Apple Dolls, how to collect them and where to find them. Little Apple Dolls are a series of cult dolls created by artist Ufuoma Urie. Both eerie and beautiful at once, the dolls are each essentially alike but dressed in different, sumptuous clothing, each holding a pin-cushion apple. The story of the Little Apple Dolls describes them as the wandering souls of children who have passed into the In-between - they are not dead, but nor are they living. This page showcases the beautiful dolls along with the story of the In-between, and the latest news on limited editions and other new dolls. What are Little Apple Dolls? Little Apple Dolls are a range of dolls designed by artist Ufuoma Urie. 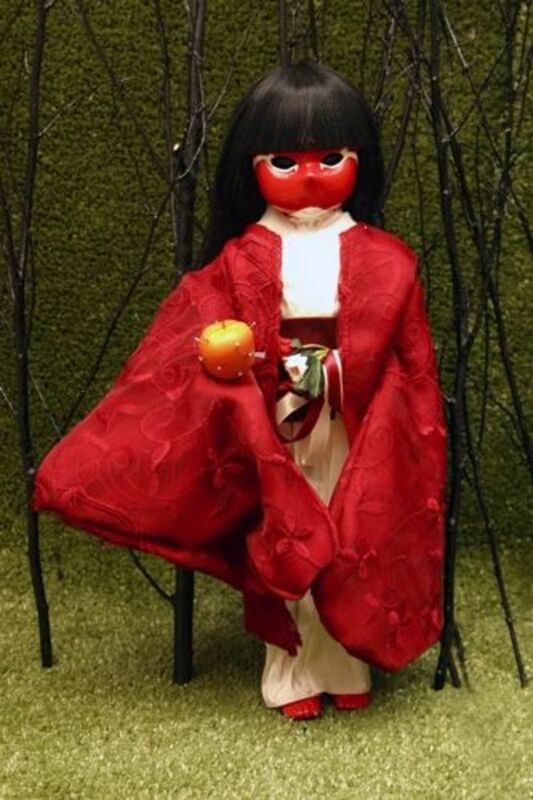 Appealing to fans of dark fantasy and horror, these Japanese-inspired dolls stand at around 13-14 inches high (except for the large art dolls, which are 3ft, and the mini dolls, which are 4 inches) and come dressed in beautiful intricate costumes. 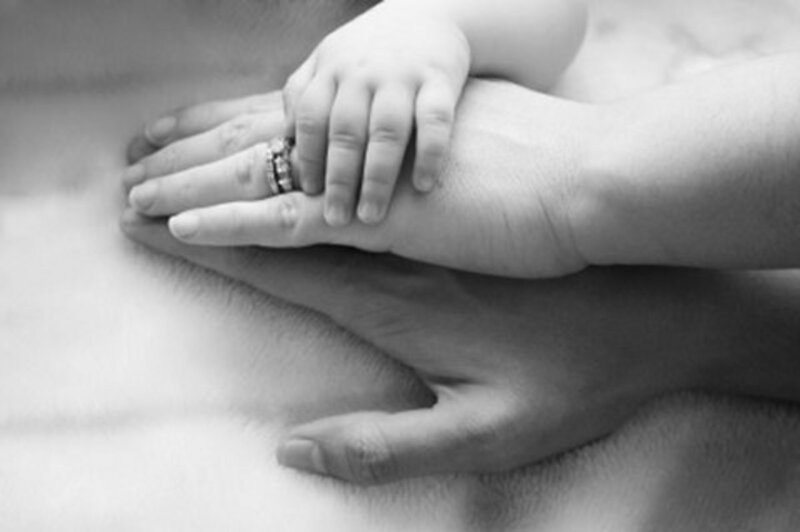 These dolls are creatures of the In-between; child souls who are neither living nor dead. 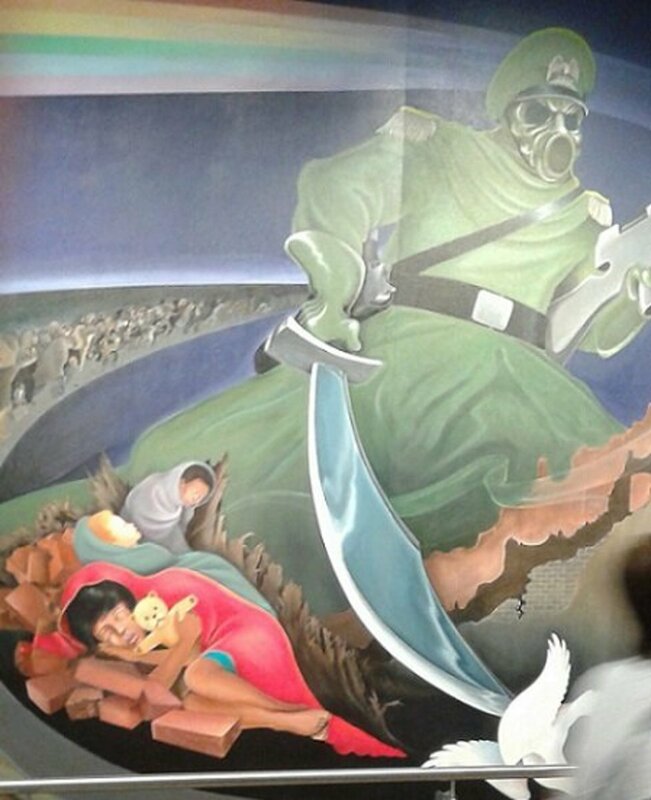 Their faces are not fully formed, missing noses and mouths which may render them horrific to some but beautiful to others. I find them eerily and hauntingly beautiful. Creator Ufuoma Urie has since parted company with the distributor of the dolls, Underground Toys, after they ceased to produce them due to "lack of opportunity in the market". Thankfully, the Little Apple Dolls live on, now entirely 100% artist run!. The first series of Little Apple Dolls introduced us to Circe, Umbrae and Sine, who are also the subject of the Little Apple Dolls book, "Welcome to the Inbetween". 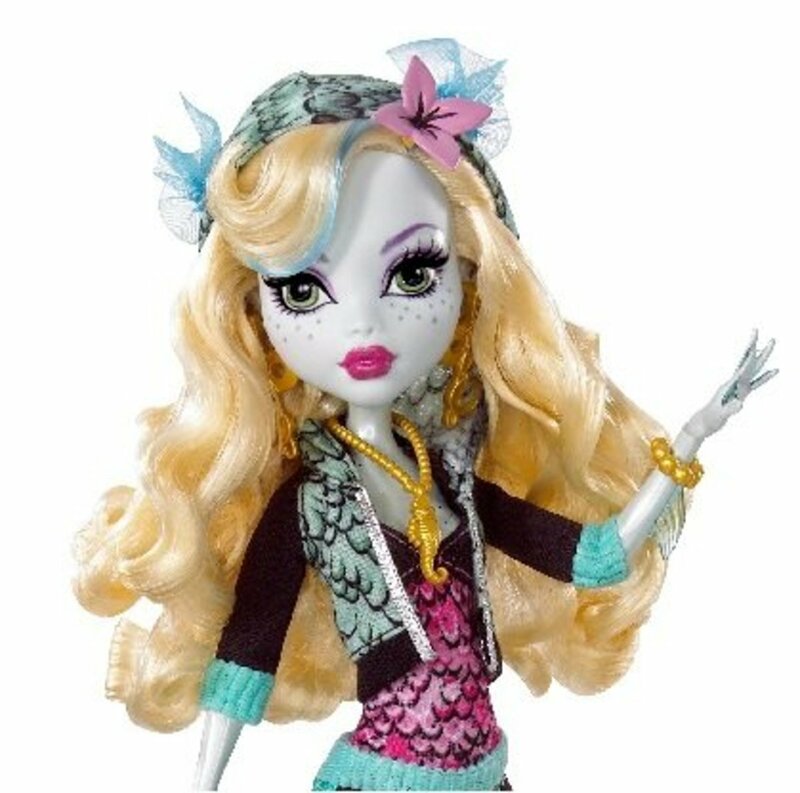 These dolls have sold out from stores but can sometimes be found on sites such as eBay and Amazon. They have been more recently released as a series of mini dolls. You can read all about this first series of Little Apple Dolls in my lens "Little Apple Dolls Series 1" below. These are still my most favourite of all the dolls, especially Sine! They have a beautiful otherworldly aura about them. The stories of the Little Apple Dolls are told by Kook, whose friends are Little Apple Red and Charles. Kook Headcage is a strange-looking little girl who narrates the story of the Little Apple Dolls in the book and on the website. Little Apple Red is an apple plucked from Sine's orchard in the land of the living, who became a special apple, keeper of souls, when Sine passed into the In-between. She put pins and broken glass into the apple and this pin-cushion style fruit is found in the hand of each of the Little Apple Dolls. The second wave of Little Apple Dolls brought us an overall more modern-looking selection of dolls, namely Erro, Irae, Animula and Mentis. You can read all about them in my lens below, entitled "Little Apple Dolls Series 2". Here's where to find the best Little Apple Dolls info on the web. This site is the official home of Little Apple Dolls, and includes Urie's blog as well as showcases of the latest limited edition dolls and art dolls. Find all the latest news here! This is the artist's official store, with signed dolls, limited edition dolls and accessories available to purchase. Despite parting company with the dolls' creator, there are still some Little Apple Dolls available to buy on the Underground Toys website, along with cool LAD pin badges. Little Apple Dolls on Flickr! The LAD Group on Flickr showcases beautiful shots of the dolls from fans' collections. Along came Series 3, with four new, more sinister-looking dolls in the shape of Oneris, Sanem, Triginta Tres and Vates. The series was released with a "mystery doll" who turned out to be the first boy LAD, Atrum. You can read all about these wonderful dolls in detail below. In 2005, a Little Apple Dolls book was released, detailing the story behind the characters and focusing on the legends of Sine, Umbrae and Circe. This is a gorgeous little square hardback book with 56 pages, illustrated in gorgeous Gothic colour. It tells the stories of the first Little Apple dolls, Sine, Circe and Umbrae, as well as that of Little Apple Red, in the words of narrator Kook. Deliciously dark and disturbing, it tells of how children's souls came to be in the Inbetween, and how Sine changed the Inbetween. It tells of Umbrae the demon huntress, and the witch, Circe, who was chaos born of something unnatural. A brilliant book in its own right, it is a must-have for fans of the dolls. By the time Series 5 was due for release, Ufuoma Urie and Underground Toys were waving goodbye to each other. Only two dolls made it to release, Nix and Oscen, but what beauties they are! The popular first series of dolls, Circe, Sine and Umbrae, have been re-released as miniature versions. Standing at just over 4 inches tall, the three are discussed in "Little Apple Dolls Series 1", which you can find below. Do You Collect Little Apple Dolls? Which is your favourite Little Apple Doll? There were also some special editions and Comic Con exclusives released, including Mirari, pictured. These are some of the hardest Little Apple Dolls to find. 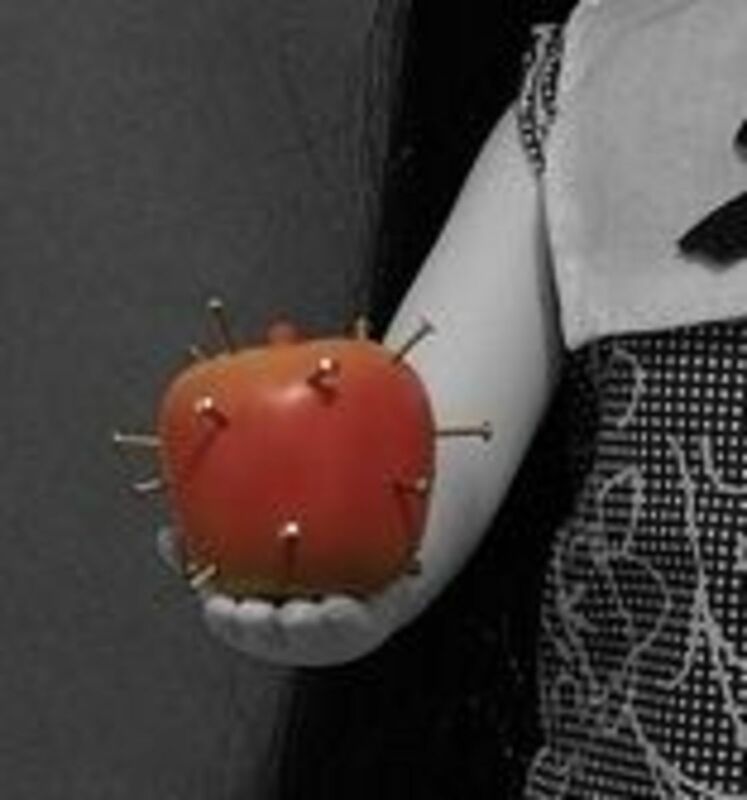 Also known as Yurie, Ufuoma Urie created the Little Apple Dolls after experimenting with photographs using the pin-cushion apple as a symbol of an inanimate object presenting emotion, whilst exploring myths of creation and destruction. The name of the Little Apple Dolls come from Latin - for example, Sine means "without", Erro means "to stray or wander" and Irae means "anger" or "rage". Urie's father spoke Latin and she used the language with her dolls in his honour. On the Little Apple Dolls website she explains that the preservation of culture and tradition is important through storytelling and myth, and she likes to weave these elements into the Little Apple Dolls. For the ultimate in Little Apple Dolls for the avid LAD collector, Ufuoma Urie has released a series of Large Art Dolls. These incredible pieces are LIFESIZED child figures standing at 3ft tall, and cost in the region of 200-275 pounds sterling. Numerous characters have been given the large format treatment but the only three currently available on the Screaming Matriarch site at present are Sine (pictured), Irae and Animula. Fans of LAD can also buy pin badges, T-shirts and other LAD memorabilia. The original pin badges include Swirl Face, Skulls, Holding Apple, Little Apple Dolls Fire Logo and the iconic Apple with Pins. You can find brand new accessories from Urie's Screaming Matriarch site. There are currently badges, bookmarks, prints, cushions and more available, as well as new limited editions and signed dolls. You can also sometimes find the older pin badges on eBay and Amazon. Do you collect Little Apple Dolls? Would you like to? I hope you enjoyed this lens - please leave your stories and feedback here! What do you think of the Little Apple Dolls? - Please Leave your Comments Here! DOES ANYONE HAVE ANY IDEA WHERE TO GET THE APPLES WITH PINS? I HAVE MANY LITTLE APPLE DOLLS WHICH I LOVE LOVE LOVE, BUT SOME ARE MISSING THE APPLES! I am another who had never heard of them. They certainly have an eerie beauty to each doll. I've never heard of Little Apple Dolls, but I love them. It seems that I remember something about Victorian death dolls, made to hold the souls of the departed. I do know that some people are completely freaked by dolls, especially when their eyes move for no earthly reason. I started collecting LAD just to start a hobby, now it's a real addiction. I have a good start. I spend a little time every night scanning the web. Part of me wants to get every doll.... At least one in box and one out. I'm only halfway in the ones in boxes. Can't wait! They are all so beautiful! @anonymous: I'm looking for these dolls for my collection. I have sine but she had been opened and taken out when I brought her. If they are all silk strapped in box. I would love to get then from you. @newbizmau: They are even more mesmerizing in person! Never ever seen any dolls like these before. Sparks my curiosity they do. I want a couple of those. It is the first time I have heard of Little Apple Dolls. These are adorable yet sort of spooky. Oh - these are beautiful! Sine is especially gorgeous and I bet the life size dolls are amazing! Fabulous lens - blessed by this Squid Angel as part of the "Back To School Bus Trip"! I have never heard of these dolls before. They are so beautiful!! Fantastic job putting this page together (as always). Fabulous lens on a fun topic. These little dolls are new to me and I love them! Blessed! 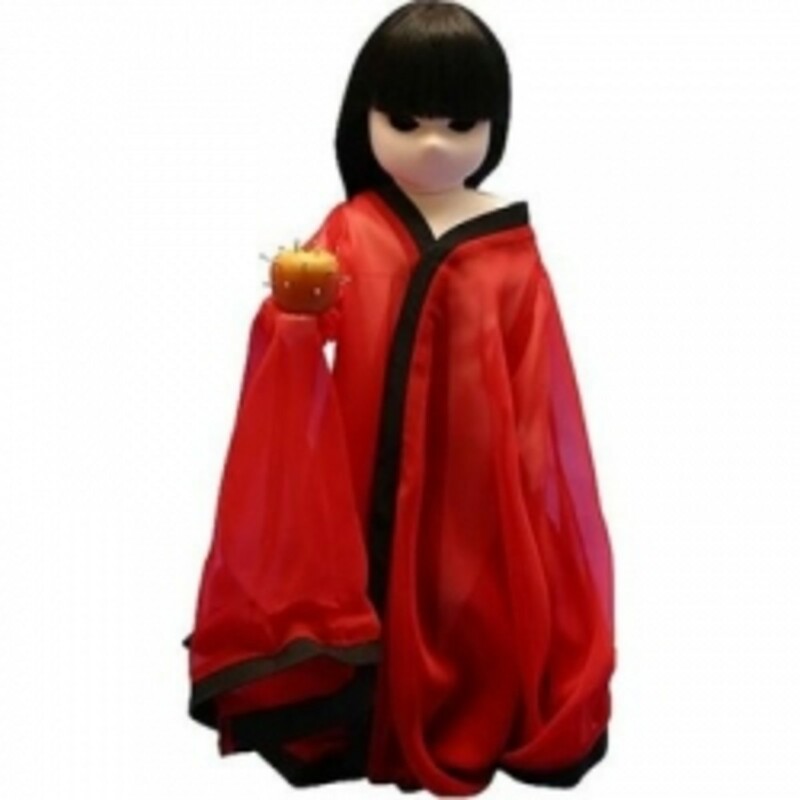 I had never heard of Little Apple Dolls before, but now I want some - they really are a great gift idea for any goth. Between me and my daughter we only have three dolls, but we love them all; they are so beautiful and sad. Mine is Irae and she stands next to my monitor (along with Cthulhu, Ryuk the shinigami and a tiny Hello Kitty). This is a really terrific lens, thank you. I want these!!! I love gothic stuff and these are just gorgeous. Ah, these are quickly becoming the "apple of my eye" as they are quite engaging ... and you have presented them in a very tactile manner!